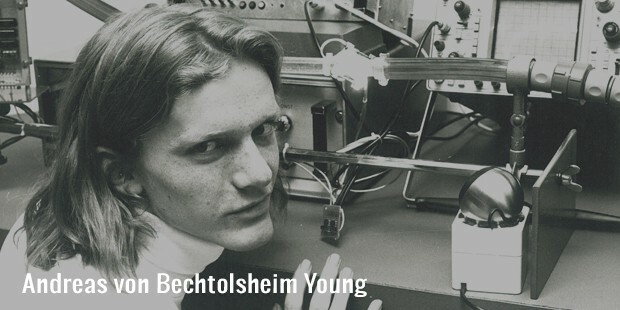 Popularly known as Andy, Andreas Von Bechtolsheim was born on the 30th of September 1955. 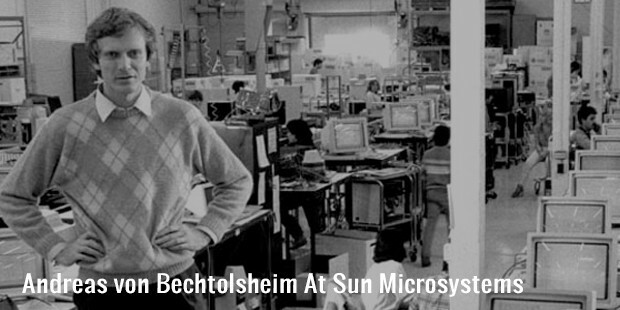 This 59-year-old electrical engineer was the chief hardware designer and co-founder of Sun Microsystems. 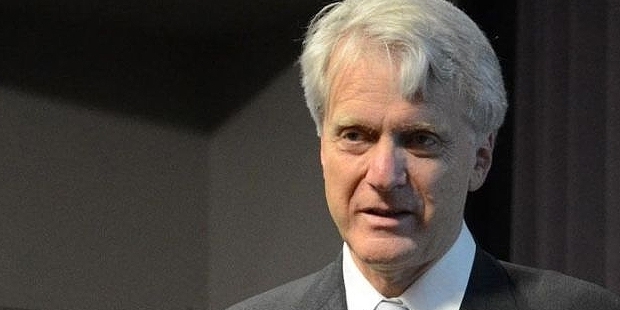 According to Forbes, this German citizen is the 435th richest man in the world and the 30th richest man in Germany. This engineering genius is a hardworking and dedicated individual who has founded a range of successful companies. Andy smartly and calculatedly invested US$ 100,000 in Google a few decades ago. The investment became worth $1.7 billion by March 2010. Andy was born in Bavaria, Germany. He was the 2nd child of 4 children. His early years were spent on a farm, which overlooked the Alps at a distance. The house he lived in was an isolated one with no television or neighbors that could prove to be a source of entertainment. To pass his time, Andy experimented with electronics. At the age of 16, Andy had designed an industrial controller for a local company. This controller was based on the Intel 8008. Majority of his education was funded from the royalties he received for the designing of this product. After experimenting with electronics throughout his childhood, Andy was inspired by the Xerox Alto computer. Andy designed a powerful workstation based on the inspiration of Xerox’s Alto computer in Stanford. Andy had free access to the research that was being conducted at Xerox Research Center. Eventually Andy left Stanford in 1982 to found Sun Microsystems. After working for Sun Microsystems for over a decade, Andy left the company to found Granite Systems. The main mission of Granite Systems was to develop high-speed network switches. By 1996, Andy owned 60% of Granite Systems, which was acquired by Cisco Systems for $220 million. 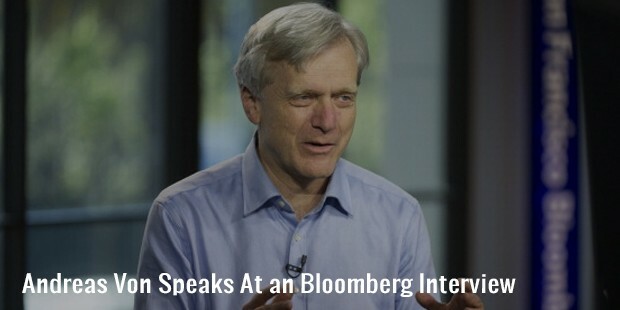 Andy became the general manager and Vice President of Cisco’s Gigabit Systems Business Unit. In December 2003 Andy left Cisco and became the head of Kealia Inc.
Andy alongside of Stanford Professor David Cheriton founded Kealia in the early part of 2001. 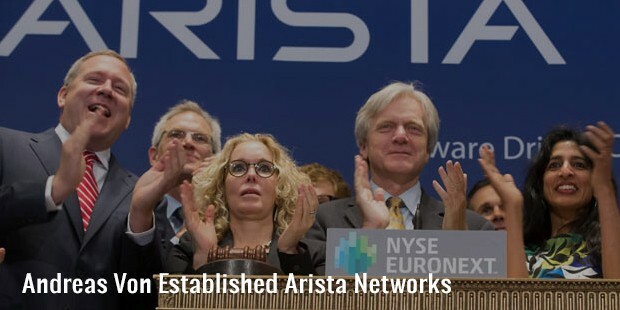 In 2005, Andy founded and established yet another high speed network company which came to be known as Arista Networks. Andy is also an investor in the world famous search engine Google. Andy founded Sun Microsystems in 1982, Kealia Inc. in 2001 and Arista Networks in 2005. Andy is single and has 3 siblings. He also has a master’s degree in science from the Carnegie Mellon University. He has also received a Stanford Entrepreneur Company of the year award. Besides this, in the year 2009 Andy gave the opening keynote speech at the International Supercomputing Conference.